You've reached the home of Get on the Air with HF Digital by Steve Ford, WB8IMY, QST Editor. Here you'll find software and other resources to help you get started in the fascinating world of HF digital communications. Click here to download a PDF document with sources for hardware and software. Clink here to download "JT65-The Musical Mode," originally published in the April 2011 QST. Download DigiPan PSK31 software for Windows. Once you have it on your hard drive, double click on the compressed file to "unzip". Download MMTTY RTTY software for Windows. Once you have it on your hard drive, double click on the compressed file to "unzip". After you install MMTTY, download EXTFSK and unzipthe files into the MMTTY directory on your hard drive. Click here to go to K1JT's site for the latest WSJT-X software. Download an Introduction to JT65 by Steve Ford, WB8IMY. 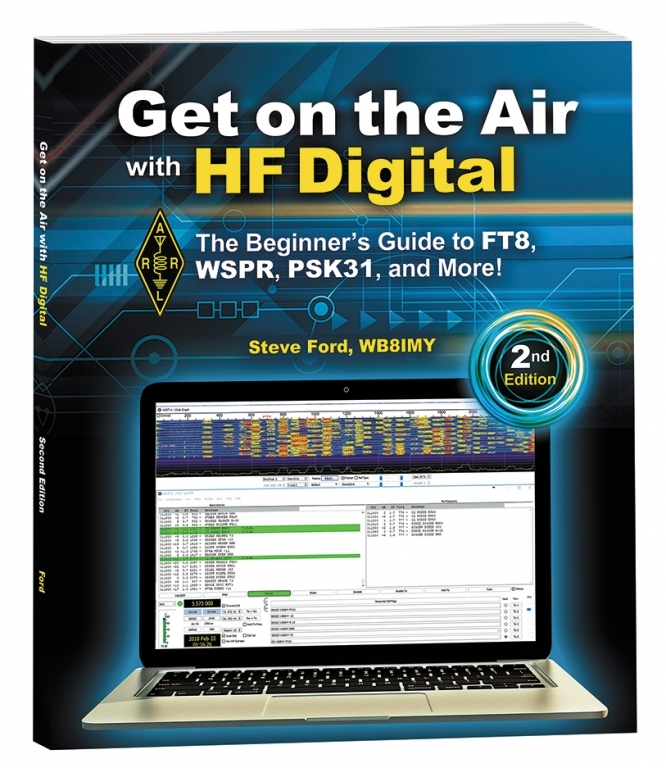 Download an Introduction to HF Digital Contesting by Steve Ford, WB8IMY. Click on the speaker icon to hear an example of FT8. Click on the speaker icon to hear an example of RTTY. Click on the speaker icon to hear an example of PSK31. Click on the speaker icon to hear an example of JT65. Click on the speaker icon to hear an example of PACTOR. Click on the speaker icon to hear an example of Olivia.